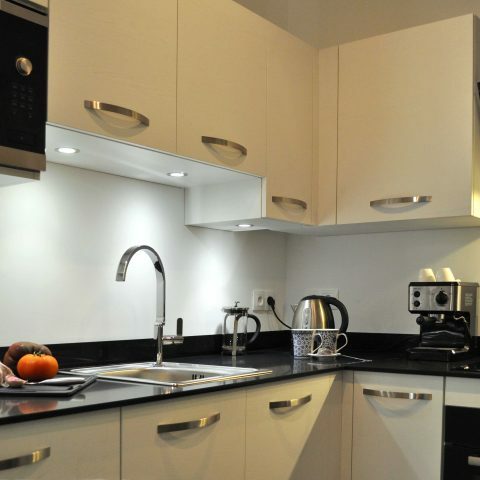 According to a recent guest, this is The best apartment in Europe! 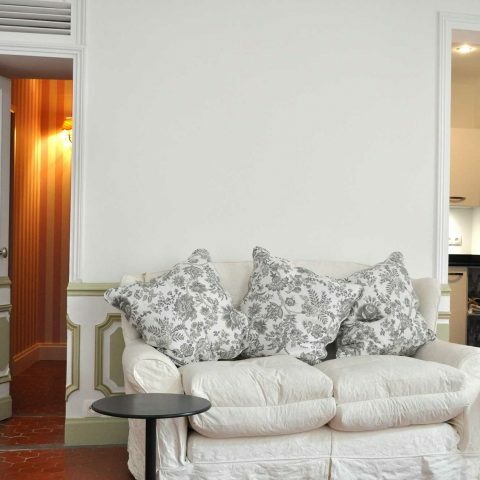 While we wouldn’t go that far, it certainly is very pretty apartment for two: quiet and elegant, on the first floor (US: second floor) of an ancient building in the heart of town, with supervised parking less than 5 minutes walk away arranged at almost half price! (10 euro/day instead of 18). 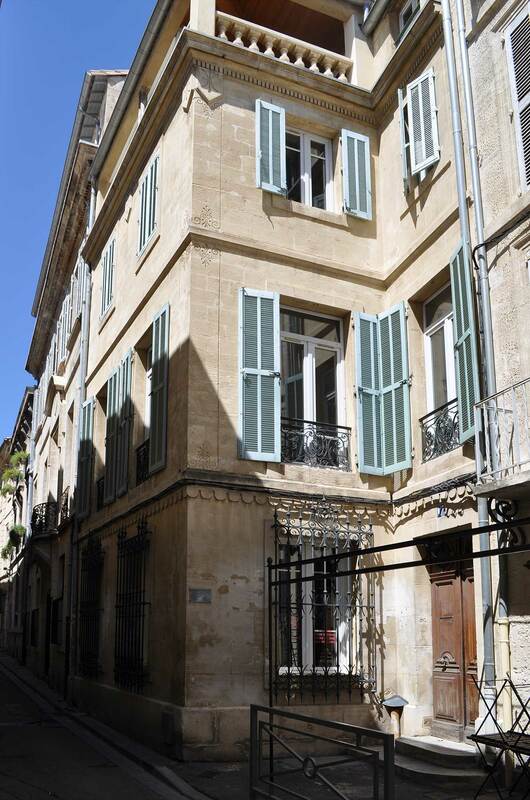 64 sq.m of air conditioned comfort located a minute’s walk from central Place de l’Horloge, two minutes walk from the Palais des Papes and 5 minutes walk from Avignon Centre train station. The front door opens onto the Juliette balcony. Walk through to the impressively large (28 sq.m), Louis XV-style salon with wifi, sat TV, Bose sound bar and stereo. 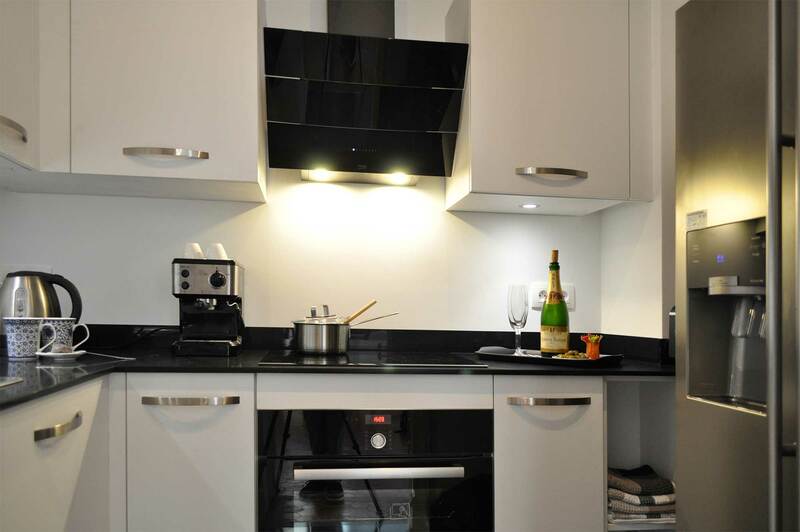 There’s a well equipped, modern kitchen, a charming double bedroom (14 sq.m) with king sized bed and en suite bathroom with bath/shower, plus a separate half bathroom (with washing machine). 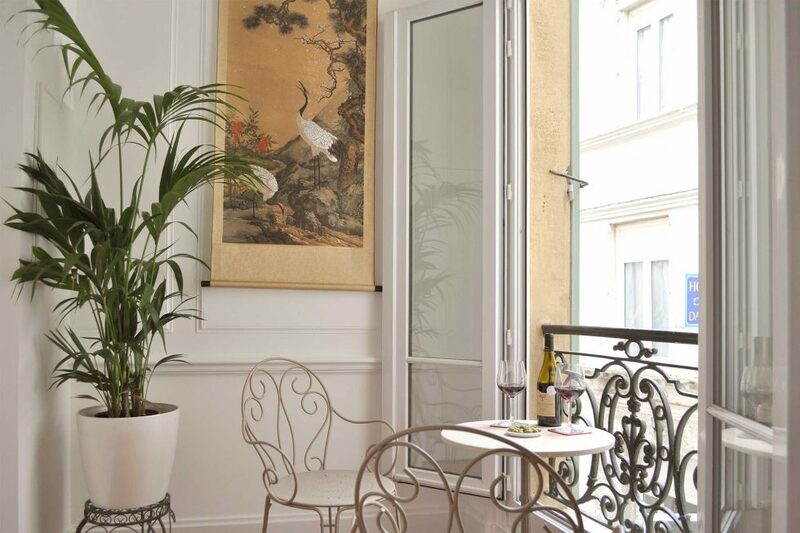 The perfect base for those intent on exploring Provence, for culture buffs, restaurant/theatre goers and shopaholics – or simply for lovers wishing to sip champagne on a sunny Juliette balcony in the heart of Avignon. 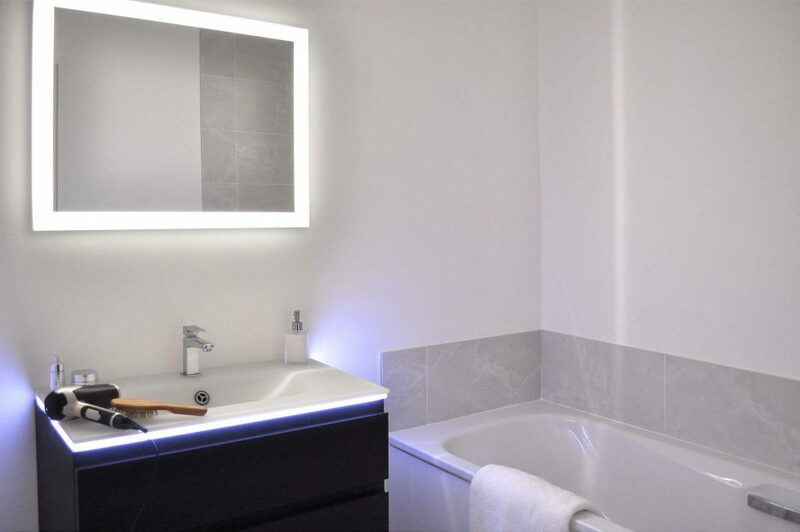 The bedroom LED mood lighting can be changed to any colour! 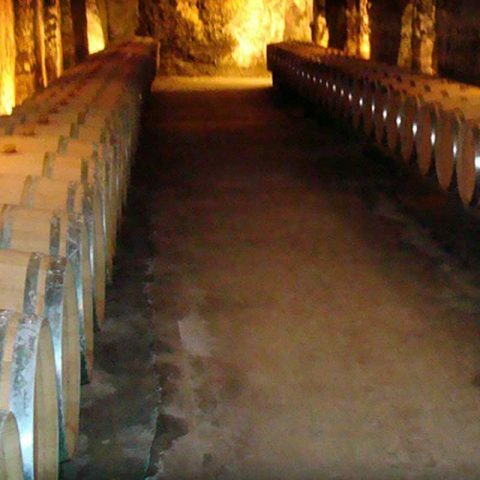 The wonderful wines of the Rhone. 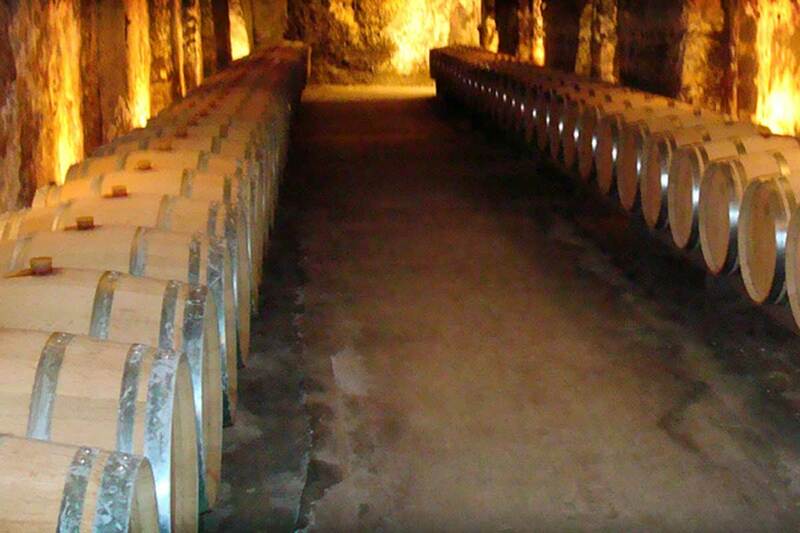 Visit Chateauneuf du Pape for world class wines or Tavel for the best rosé in France, both within 20 minutes drive! 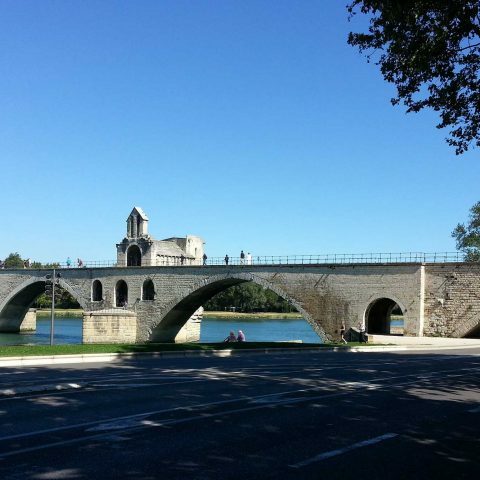 A romantic walk along the river with the gorgeous Palais des Papes in the background. 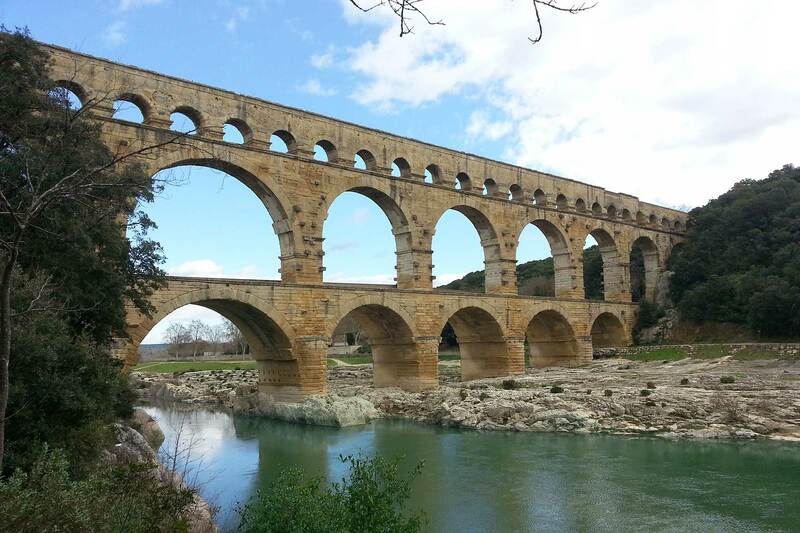 It was our good fortune to exchange the dreariness of a lingering Canadian winter for 11 days of glorious Provencal springtime in Avignon – a city with a storied past that is big enough to be captivating and small enough to make getting around on foot both easy and fun. The Juliette Balcony Apartment was the perfect place to stay. 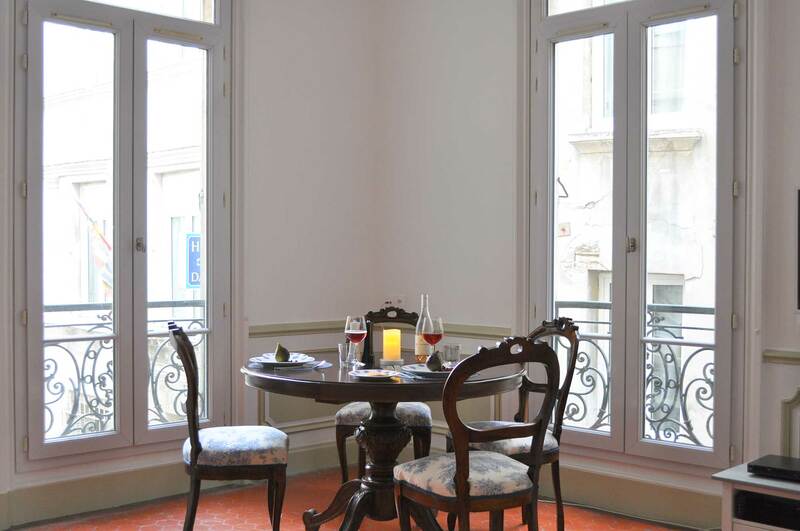 It is located in the heart of the city on the edge of a fascinating maze of lovely pedestrian streets and squares, yet only a block away from the array of “main street” shops in the Rue de la Republique. The elegant space has been beautifully renovated and furnished and equipped with an eye for detail that is amazing. 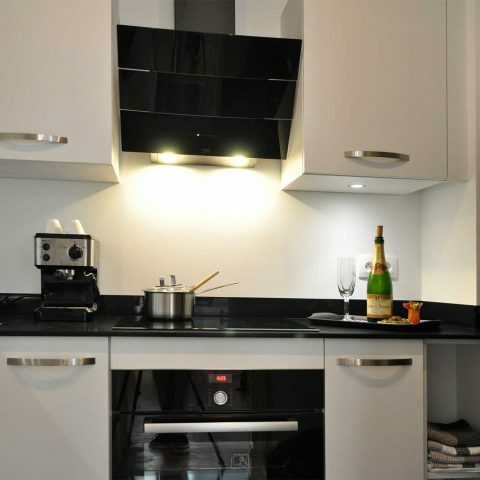 It is lovely to look at, comfortable to live in and provided with everything needed for a very enjoyable stay. An aperitif in the lovely Place St Didier or lively Bar du Change in the setting sun; home to cook in the beautifully equipped – and beautiful to look at – kitchen; dinner at the table by the salon window with it’s long view of the street theatre in the narrow street below; a fine bottle of wine from one of the nearby vineyards; and the fantasy was complete! 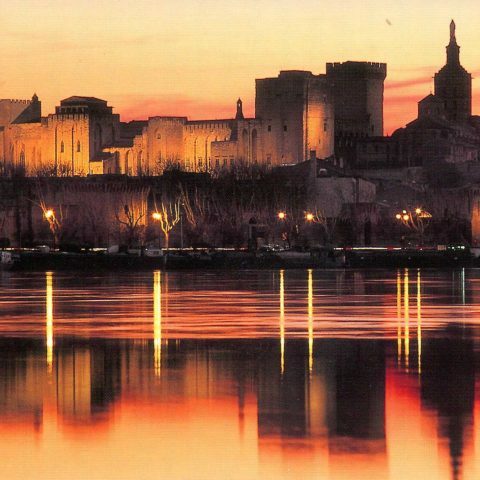 Avignon abounds with attractions – some bold and obvious and some subtle and waiting to be discovered. Among the latter, our favourite was the Collection Lambert, a remarkable contemporary art museum housed in a beautifully restored classical mansion. We rented a car for part of our stay. The parking available with the apartment rental worked extremely well. It was a short walk from the apartment to the underground parking garage – and where else can you walk to your parked car through a huge square with a magnificent papal palace? 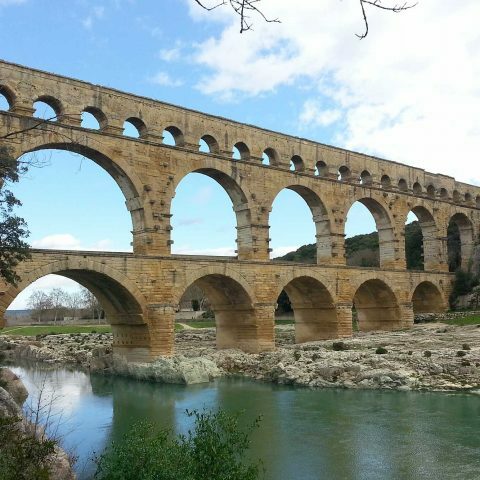 Within an hour’s drive were the Roman monuments of Arles and Orange, the vineyards of Chateauneuf-du-Pape and Gigondas, the amazing Pont du Gard aqueduct and the charming southern town of St Remy. 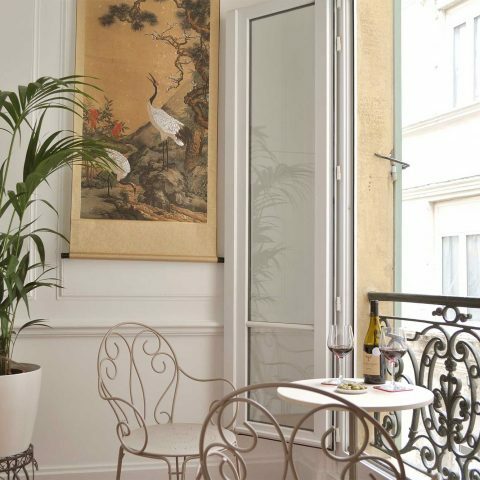 The Juliet Balcony Apartment and Avignon were the perfect starting points for a memorable holiday! We thought the apartment was an elegant and serene place to stay. We slept so well because it was comfortable, dark if you wished it to be and very quiet. When you think about it, its not often you get that as there is usually always street noise of some sort. The House Book was very useful and during our week we went to quite a few of the places mentioned. La Vintage we thoroughly enjoyed and you were quite right about getting there early as the place filled up in no time. Great food and great service from start to finish. The lovely pizzeria, Verso was totally yummy. We also had a lovely meal in restaurant Le 26. All the food tasted as though it was lovingly prepared and was well presented. We ate out every day apart from once when we brought food from Les Halles which just needed to be heated up. Les Halles was such a lovely experience and so much fun, you have to go. We wasn’t sure of a certain dish and so we asked. The assistant couldn’t explain so she kindly got out a dictionary. She then went on to lend me her glasses so that I could read the description. Banter was definitely had in the queue. You certainly will not go hungry or thirsty in Avignon though as we were amazed at how much choice you had! There were restaurants after restaurants – plus all within easy reach of the apartment it really could not be better located. We felt like we were staying in a suite of rooms in a boutique hotel with room service on your doorstep and beyond! We loved it all. With my wife Laura, we chose this beautiful apartment for part of our honeymoon at the end of July 2017. 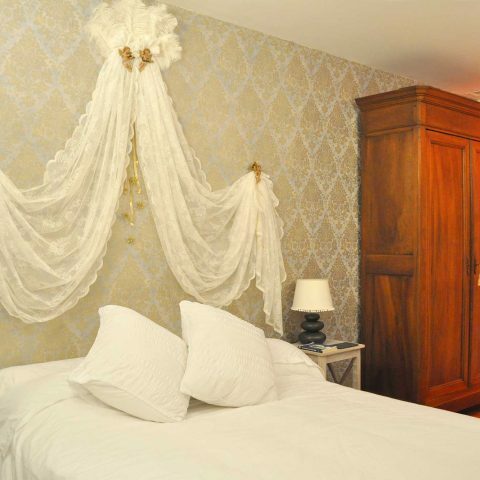 We were looking for a comfortable place that was suitably romantic for the occasion and could also form a base for exploring fascinating Provence. It would be difficult to find somewhere else that did the job better! 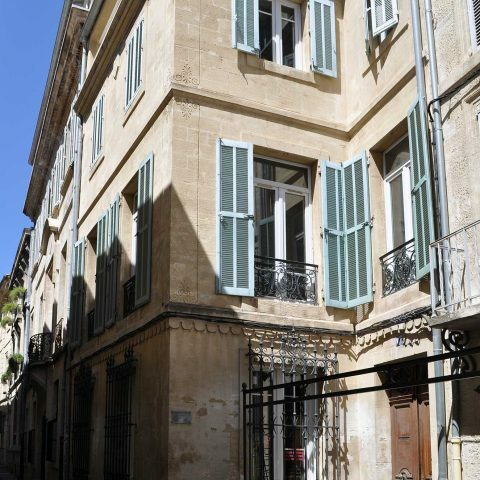 Just a short walk from the key monuments of Avignon, yet in a quiet street, this apartment ticked all the boxes: elegant and practical, equipped with every modern comfort following its recent remodel. The availability of parking space at the Palais des Papes car park did the rest, making trips into the countryside easy. Finally dealing with the owner was a pleasure and should we return to Provence, we will definitely stay at the Juliette Balcony apartment. This is by far the best apartment we have stayed at… 5 plus stars. 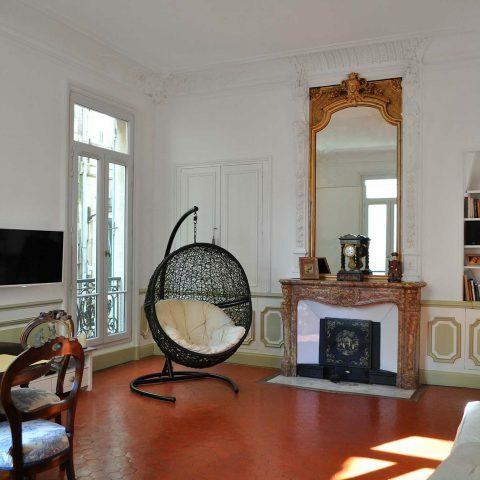 The apartment is in the best location for visiting Avignon, in a historic building , beautiful inside, attention to details and welcoming. Amazing apartment! This place is hands down the best apartment we have stayed at in Europe. It surpassed all our expectations in all respects. Bob was in constant contact with us even though he lives in Italy. His local rep, Didier, met us at the apartment and took us through all we needed to know including local eating recommendations. 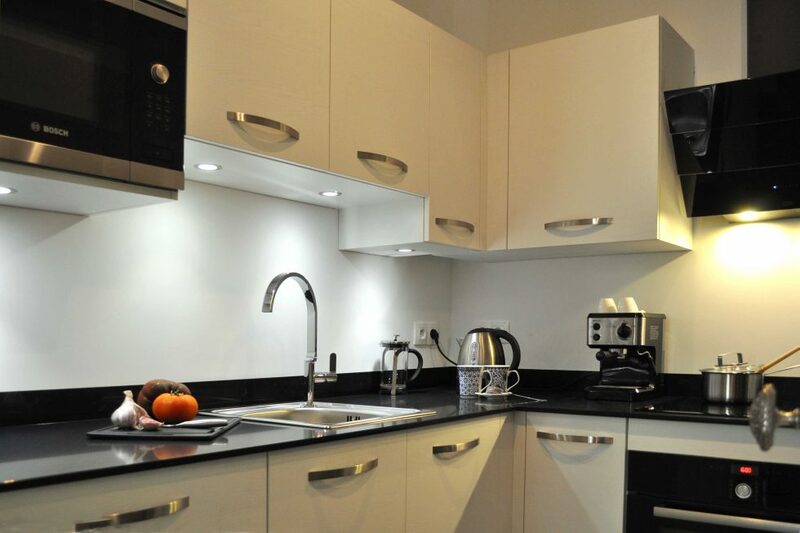 The apartment is in a great location in a quiet street but only steps from great eating, shopping and site-seeing musts. 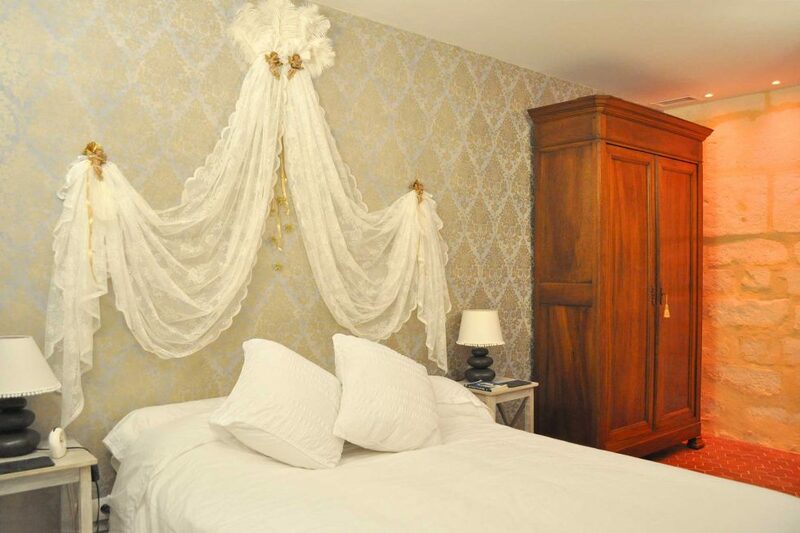 Above all it is quite beautiful with high ornate ceilings and has been re-furbished to an extremely high standard. All the essentials to get you started when you first arrive are provided. 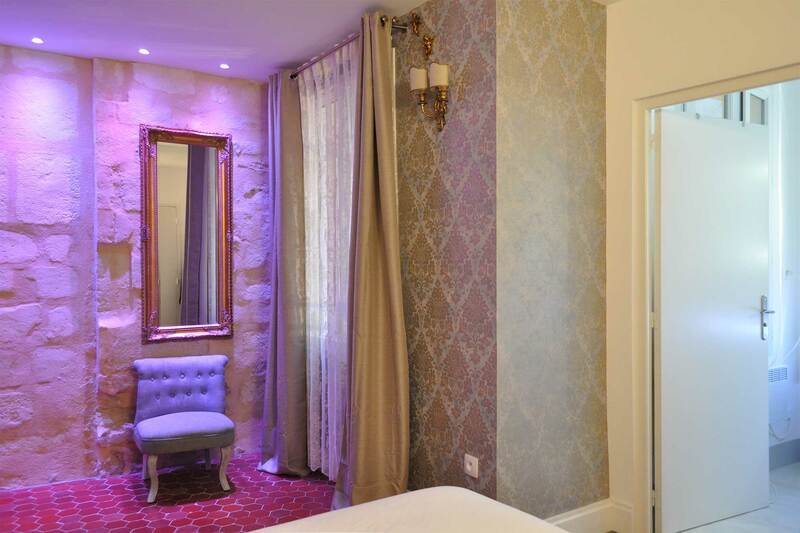 We loved Avignon and the experience was greatly enhanced by staying in this apartment. Would love to return and would recommend to anyone. This was absolutely perfect in every single way. 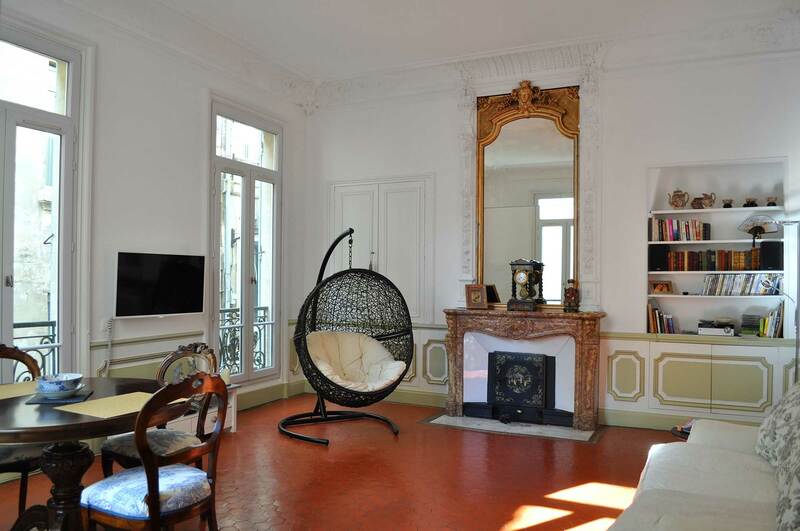 It was centrally located right in the heart of Avignon so that you could walk to everything. the new kitchen and bathrooms were incredible, with all new stainless steel appliances in the kitchen, new stove, new microwave, new dishwasher, and a new washing machine in one of the bathrooms. The cable tv in the living room seemed to have around 100 channels in every language, so we had plenty of English channels to keep up with the news and market back home. The new A/C was great and kept the whole place so comfortable in the summer heat. 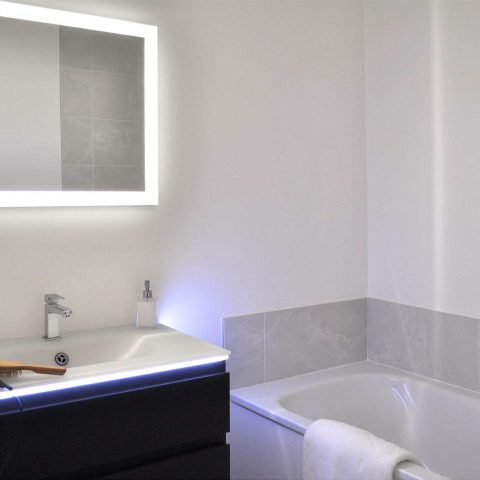 The decor is very stylish with the exposed stone wall with LED mood lighting in the bedroom. The kitchen contains everything you could ever want for cooking. And our hosts were so kind, communicative, and helpful. We already would like to return here next year. 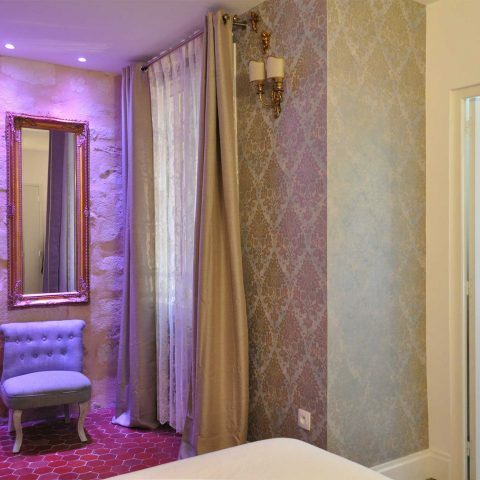 We don’t think we have ever read so many outstandingly positive reviews about an apartment before staying in it, than those for the Juliette Balcony Apartment in Avignon. On arrival for our stay we realised that the reviews had barely done the apartment justice. It is stunningly appointed, magnificently located right in the heart of Avignon and above all it has that “je ne sais quoi.”of French luxury with more than a hint of Italian styling, thank you Alison, combined with flawless logistics, thank you Bob, and the superb on site help and assistance, thank you Didier. 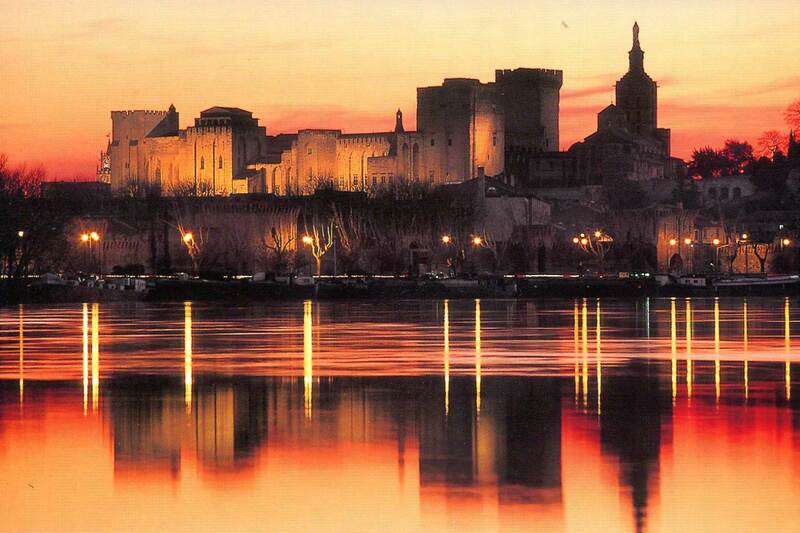 The city of Avignon is breathtakingly impressive in its medieval glory. 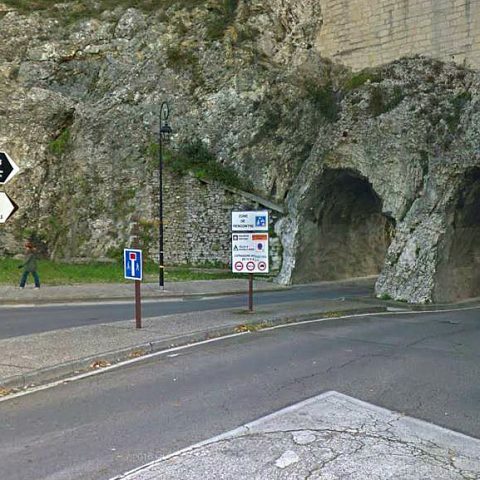 The Palais de Papes, the city Ramparts, the list is endless, giving Google a good workout will only scratch the surface! But it is simultaneously so 21st century, there is something or indeed many things to attract that streak of hedonism that is in most of us. 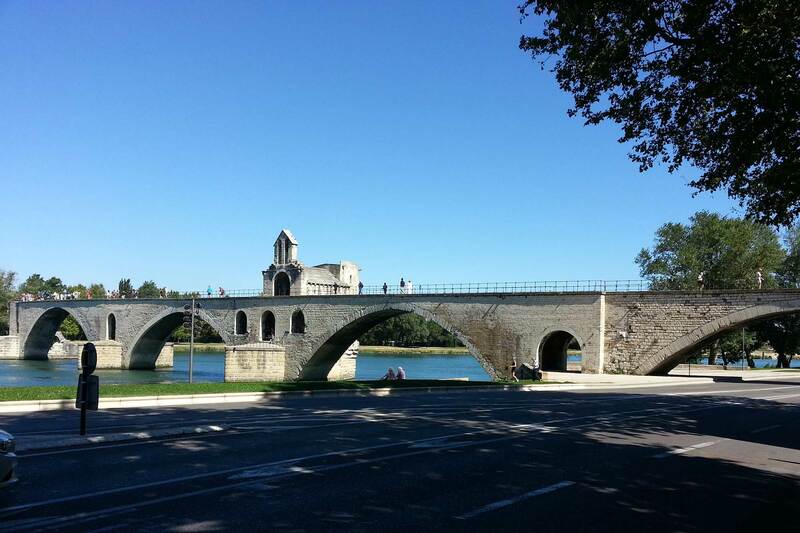 If you want to “shop till you drop” or experience the gastronomic delights that “La belle France” is famous for world wide, Avignon is a must to top your list. 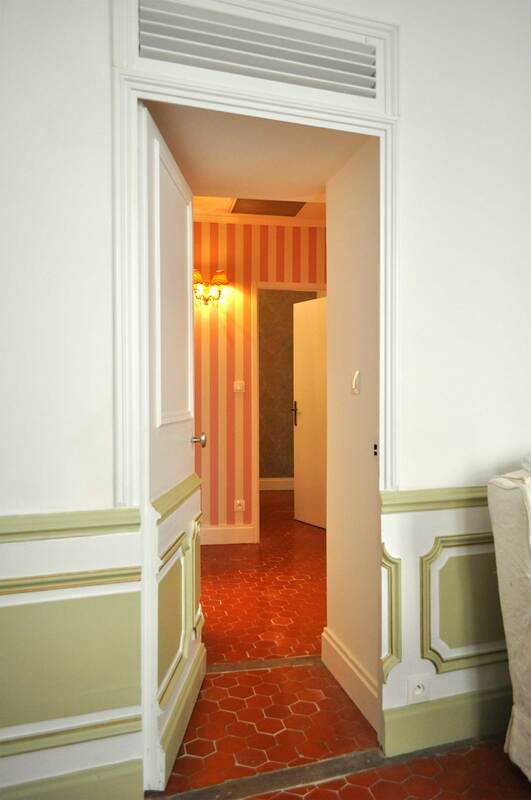 Back to the Juliette Balcony Apartment, it is in the city, but the city is also in the apartment! The ancient and ultra modern in one amazing location. You don’t just stay at the Juliette Balcony Apartment you experience it and it is an experience you will never forget and perhaps never better. 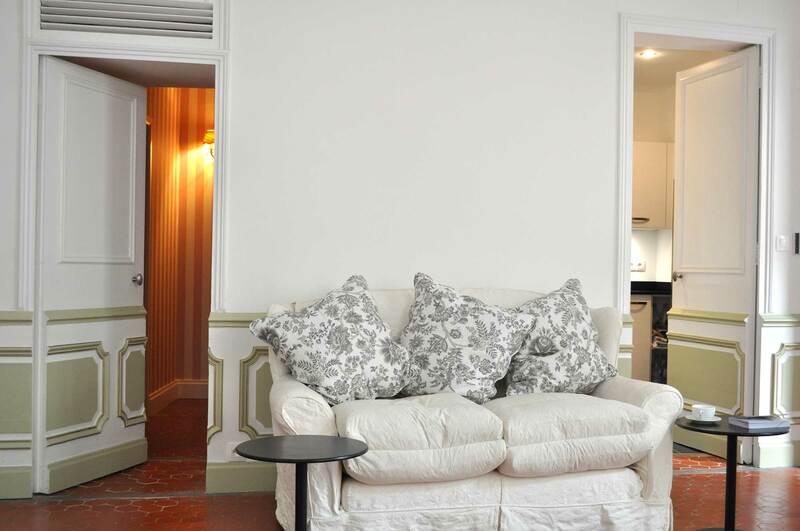 This is an absolutely wonderful apartment – highly recommend. It is large (several rooms), high ceilings , very clean with a recent remodel focused on beauty and comfort. The kitchen is well stocked with a full refrigerator – instead of the 1/2 we usually see. The WiFi is fast and there are extra electrical plugs throughout the apartment. The bed is king-size with a high-end, comfortable mattress. 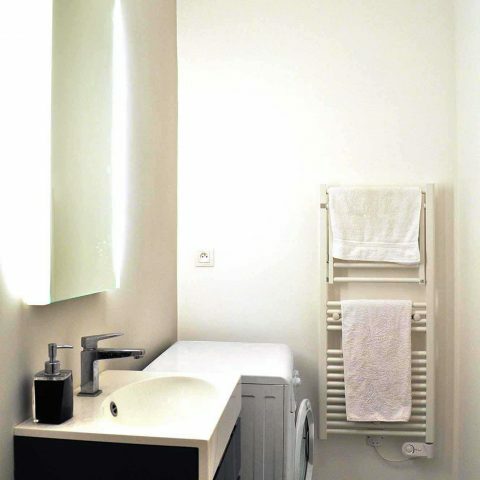 There are lots of towels for the bathroom which has large, thoughtful draws for toiletries and a full bathtub and shower. 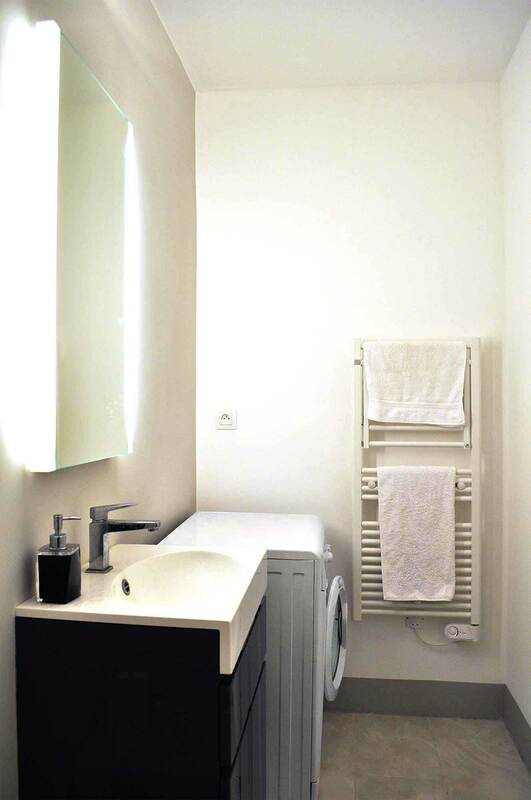 There is a washer for cloths and a bidet for personal use. Bob and Didier are warm and highly communicative. We loved staying at this apartment. L’accueil a été très bon par le biais de Didier : convivial, pédagogique et ouvert. L’appartement était parfaitement propre et entièrement rénové. Les prestations proposées sont de grande qualité, à l’instar d’une qualité hôtelière haut de gamme. La cuisine est particulièrement bien réalisée et équipée. Les détails sont soignés et offrent une impression d’agrément, de confort bien pensé. Bob did everything he could to anticipate our needs. He had a notebook at the apartment with instructions on how to operate the idosyncracies of each room. He sent us suggestions for places to shop and dine. He followed up on how we were doing and if we needed anything. The apartment exceeded our expectations. It was very clean and recently remodeled. 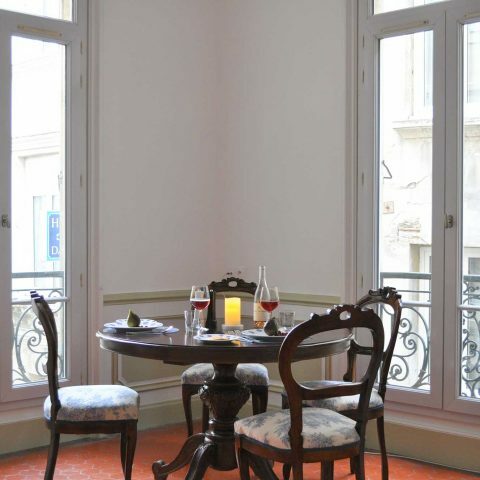 It is located on a quiet street just steps from the Place d’Horlage. It exudes the charm of a bygone time. Bob has gone out of his way to put some touches of the past in the apartment. The clock on the mantle in the livingroom is charming. The armoire in the bedroom is lovely and contains an extra blanket if needed. We recommend this apartment without reservation. Everything we did was within a 5-10 minute walk. 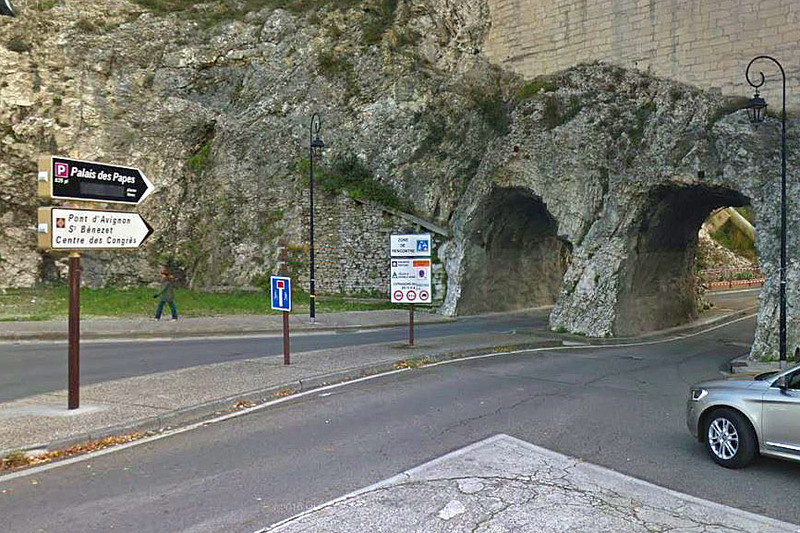 We even walked from the Gare d’Avignon to the apartment when we arrived. On the way we passed by the tourist office. We would love to stay here again on another trip to Provence.